As you walk along Hobart’s waterfront, the breeze carries a thousand captivating stories of those who were there before; from convicts, crooks, and captains of industry, Tasmania’s history is made up of a cast of remarkable characters, each with an intriguing story to tell. Though the best way to immerse yourself in the fascinating world of Tasmanian stories is not at a museum; it’s at the world’s first storytelling hotel. 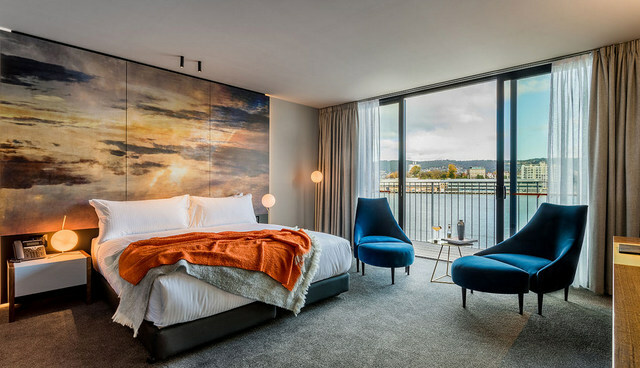 Nestled on the waterfront of Hobart’s Franklin Wharf, and inspired by the history and colourful characters of Tasmania’s past, MACq 01 is an exciting new luxury hotel, and the perfect base for exploring Hobart and surrounds. 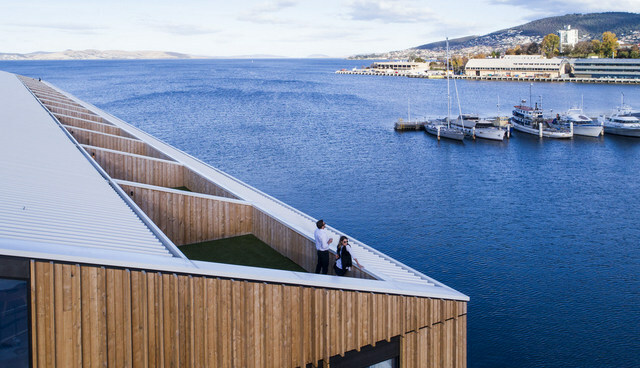 An ultra-exclusive $45 million project, doors have only recently opened on what is now one of the best hotels in Hobart. DEAL EXPIRED Save up to 53% off your stay at MACq 01 with package deals from Luxury Escapes. 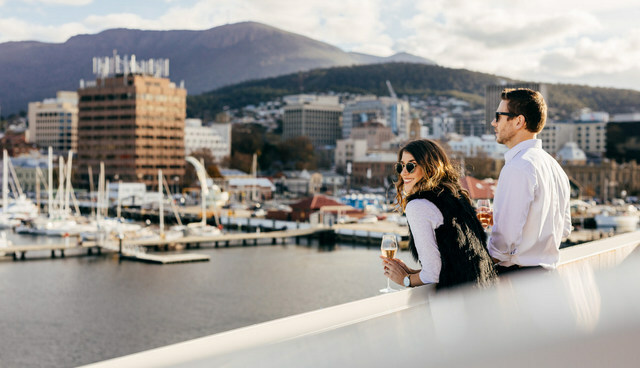 Overlooking the Derwent River and Mount Wellington, MACq 01 describes itself as “informal luxury” (luxury without the pretence), and is dedicated to telling the stories of notable Tasmanians who have left their mark in history. 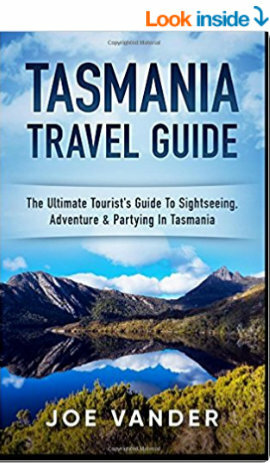 After-all, what better way to introduce Tasmania to visitors than through the stories of its people? And Tasmania has some incredible stories to tell. Originally home to the Mouheneenner people dating back some 50,000 years, the Indigenous cultures of Australia are the oldest living cultural history in the world. Though the 1800’s saw European settlement, and Britain began sending its hardened criminals for imprisonment on this isolated island at the end of the world. An island of ratbags, rascals, charlatans and scallywags brings with it some outrageous stories, though instead of cutting ourselves off our convict heritage, Tasmania is quite proud. And, once the site of gallows and a thriving whaling industry, the historic Macquarie Wharf is now the 114-room MACq 01 hotel. Though these dedications are more than a gimmick; they are part of MACq 01’s commitment to showcasing Tasmanian history and culture. Each room includes a biography of its character, and captures grand views over Sullivans Cove and Hunter Street’s storied 19th-century facades. Hotels in Hobart City. Rooms are overly spacious, and designed to create a uniquely Tasmanian space. They offer extreme comfort and ample floor-space, and reflect unique Tasmanian character traits such as “colourful and quirky”, “grounded yet exceptional”, “hearty and resilient”, “curious and creative”, and “fighting believer”. Through your stay you’ll really begin to understand what makes a Tasmanian. Luxury hotels Hobart. Suites offer massive balconies overlooking the sparkling blue waterfront, and feature walk-in showers, lavish couches you can nap on, free movies, and bedheads by local artist Troy Ruffels. Luxury Escapes packages offer discounts on the Superior Hunter Room, with the option to upgrade to a waterfront view. The storytelling theme continues throughout the hotel, and MACq 01 builds local stories into every part of the hotel experience. Historic newspapers are the focus in the Story Bar, which displays reproductions of some of the most infamous front pages in the island’s history. By contrast, the Lounge displays a number of Indigenous artefacts like shell necklaces and hand-woven baskets. 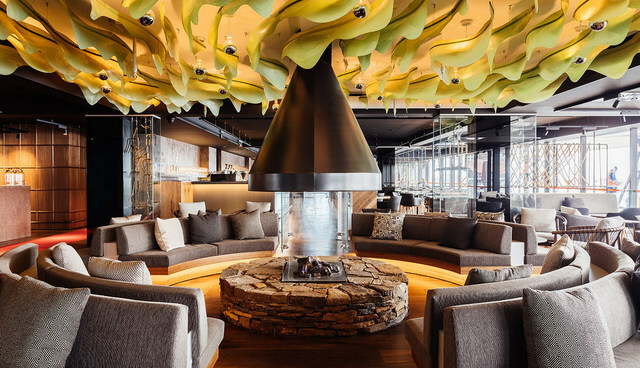 Local Indigenous groups were consulted during the development of the hotel, and the circular seating around the fireplace was inspired by the Indigenous concept of the “knowledge bowl”. 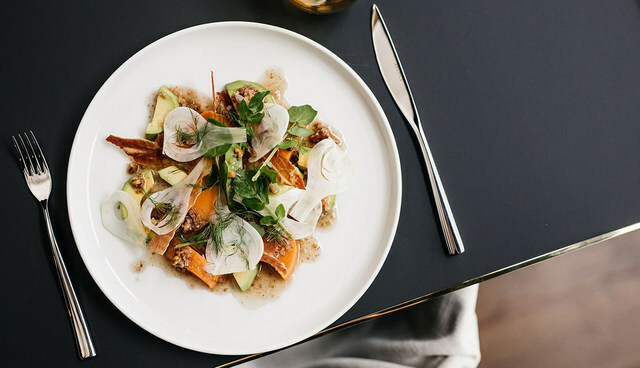 Cuisine plays a huge part in the Tasmanian experience, and naturally, local produce takes a starring role here. At the Old Wharf restaurant you can watch Bruny Island oysters being shucked and slow-cooked Derwent lamb shoulder with mint and barberries being plated from a menu that is an ode to the state’s food and drink producers. Where to stay in Hobart. 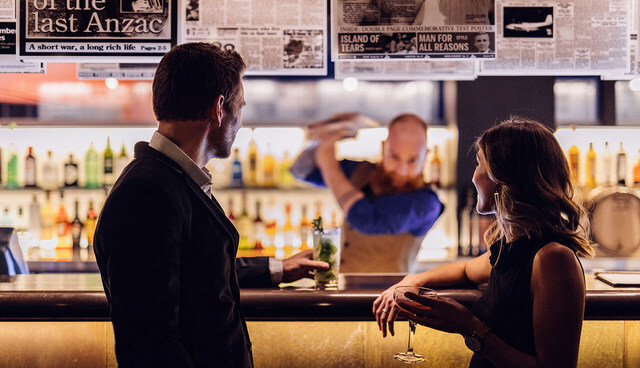 The bar stocks a rich selection of Tasmanian wines and spirits, including 17 gins and 21 whiskies, and every day they offer the opportunity to learn the secrets behind their signature blends. Under the guidance of their in-house cocktail master, experiment with Tasmanian botanicals to create your own gin. The stories that unfold thereafter are yours to craft. Any other hotel would have a concierge, but at MACq 01 they have professional storytellers. 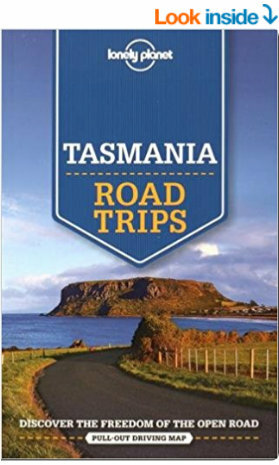 Their Master Storyteller and his team know things about Tasmania which some thought to be lost in time. These engaging individuals have been hand-picked as scholars of Tasmania’s past with a gift for captivating delivery. The hotels offers a 114 Doors Storytelling Tour which guides you through the patchwork of stories and artefacts that punctuate their hallways. 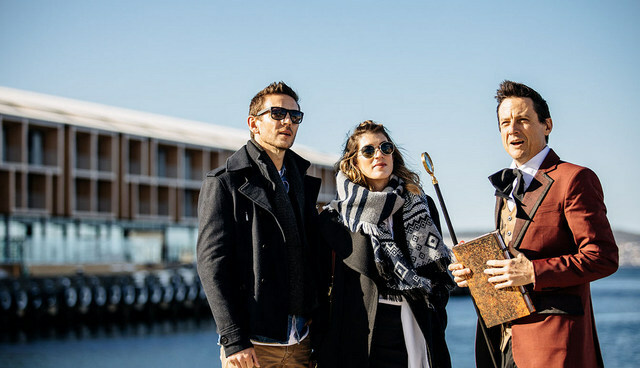 You’re then invited on a tour of the majestic Hobart Waterfront and the dark underbelly of the Wapping district, to meet the colourful characters who have crafted the Tasmanian spirit. For MACq 01 guests, these tours are complimentary ($20.00 for general public). The hotel is also committed to working with local entrepreneurs. Guests who inquire about activities will be directed to companies such as Ben Rea’s Tasmanian E-Bike Adventures, which offers bush biking on spectacular stretches of land otherwise inaccessible to visitors. MACq 01 is a central Hobart hotel, located on the waterfront at 18 Hunter St. The experience goes well beyond mere historical interpretation, to become an immersive storytelling experience. The sandstone warehouses that line Hunter Street become your historic backdrop, artistically juxtaposing the watery surrounds. It is 18km from Hobart airport, about 15 minutes’ drive by taxi, hire car or Hobart airport shuttle. Prices range from $305 for a room facing Hunter St, $460 for a waterfront room and $1200 for a corner waterfront suite with their huge private terraces. Can’t afford a room with a view? Check deals with deals with Luxury Escapes! Photo credits: Provided courtesy of the property. This looks like such a unique hotel. I just love the art as the backboard for the beds. My husband is a huge gin lover so he’d definitely be into the gin/ cocktails options! 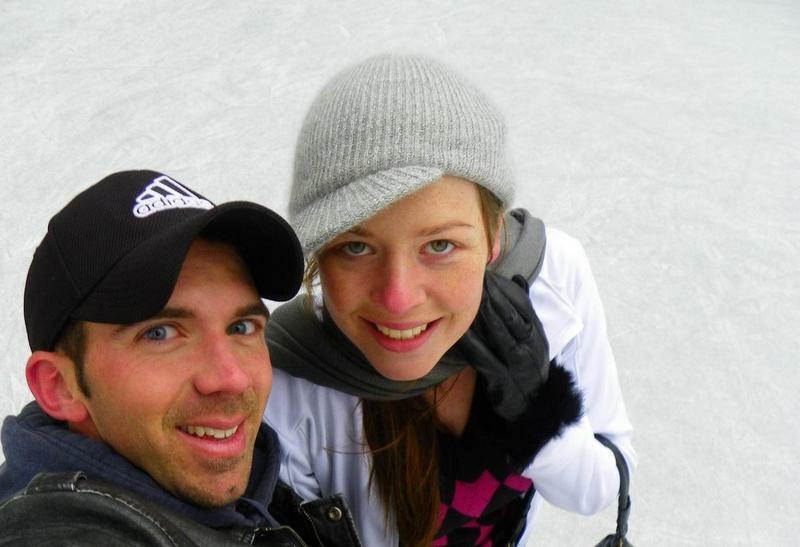 One of my best friends is from Tasmania…although she’s been in the states for nearly 20 years now. I’d love to visit Tasmania one day! Fabulous reason to visit Tasmania Julie, to be able to explore where your best friend is from, and your husband would definitely enjoy the gin scene! You had me at informal luxury which is exactly my travel style. I also love that I can find out more of Tasmania’ s history. I’m with you there 100% – I really enjoy luxury hotels which offer high quality across the board, but are welcoming and friendly also, without the presence. The experience is so much more memorable. But yes, MACq 01 definitely goes above and beyond to providing a uniquely Tasmanian experience! It’s so fascinating to be in a place which brings so much history to life! Would love to stay in a hotel with official storytellers! Hopefully, this is a trend. I wouldn’t have expected this luxe either from Hobarts! I’m hoping they’ve started a trend too – it’s such an amazing way to immerse yourself in the destination, and really learn about what makes a place unique. Wow, I love the idea of a storytelling hotel! I’d have a hard time leaving the hotel to explore anything else. Staying in one of the themed rooms sounds like an amazing historical experience. It’s definitely one of those cases where the hotel is an attraction in itself! 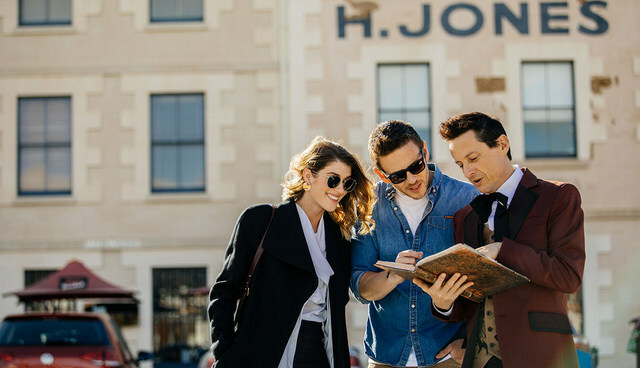 Though the nice thing is that the staff actively encourage you to get out and explore everything Hobart has to offer, the whole concept of a storytelling hotel is a brilliant one! The rooms look so incredibly spacious. Brilliant way to experience Tasmania. What an authentic touch, naming each room after well known folks from Tasmania too. I know so little of this land on the other side of the world from where I am now. Definitely due for a visit when we hit the road again. Hi Ryan, glad you enjoyed the post! Yes, such an authentic idea for a hotel, I hope it catches on around the world. MACq 01 sounds like a cool hotel. Love the history theme. 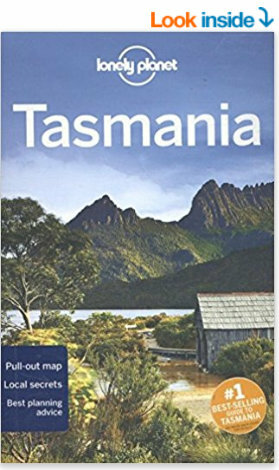 I’ve yet to visit Tasmania so adding it to my list. The first hotel I’ve come across to perfectly blend modern luxury with cultural heritage and stories from the past – they’ve done an incredible job! I’m bias (living here), but can highly recommend Tasmania as your next trip! How nice does this hotel look. I love the decoration of the rooms and the view over the water is just spectacular. I also love it how this hotel incorporates Tasmanian past into the names of their rooms, as well as they incorporate local Tasmanian products in their cuisine. Definitely Sabine :) Can highly recommend a stay if you visit Hobart in the future! Glad you enjoyed the review Karina! Great review of a unique hotel! Im all about culture so I love that they incorporate the old and the new. The view overlooking the water is breathtaking! This place looks amazing! 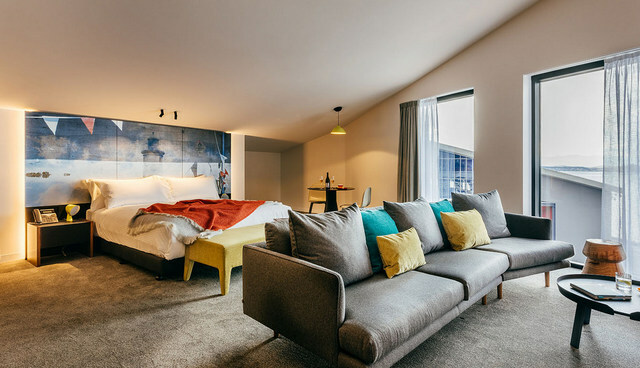 Most luxury hotels these days are stunning but few manage to fascinate as well, and I love the fact that this place is showcasing the rich history of Tasmania as its own quirk. The rooms look really inviting – I would love to stretch out on that sofa. The food at the Old Wharf restaurant also sounds delicious and I could happily get down with 17 gins at the Story Bar ;) Thanks for sharing – if we are ever in Tasmania I will be looking to see if our budget can stretch to staying here! I agree, luxury hotels these days are incredible, but they’re also very cookie cutter and usually replicate each other. 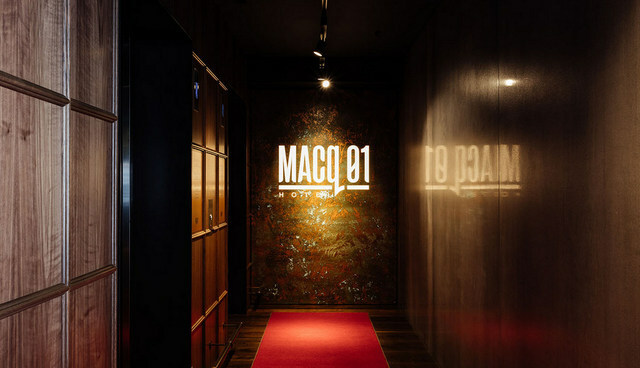 What I love so much about Macq 01 is their originality, and mission to create a space which is uniquely Tasmanian. Aren’t their sofas great! I read that they polled people about what they wanted most from a luxury hotel, and a lot came back and said a sofa you can actually nap on – so great that they’ve acted on that! 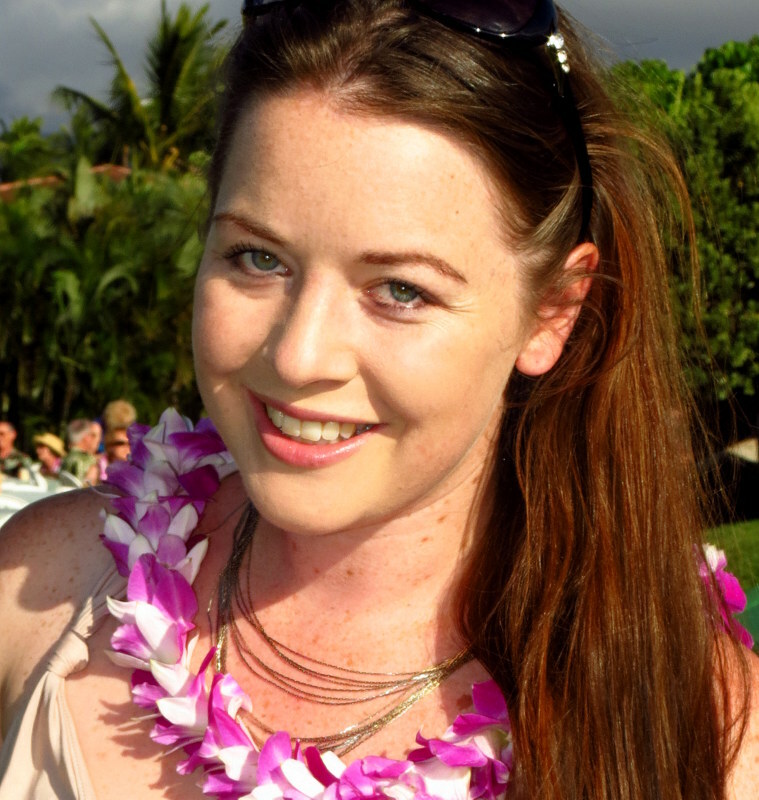 Hope to see you in Tassie soon! The thing that stuck out to me about this whole post (other than the food, because I’m hungry!) is the way they’ve structured the hotel to tell the story of Tasmania. It’s way to learn without ~learning~ which I think probably gets through to significantly more people. Then, of course, you’ve got the creature comforts, stunning views, and great food to make the stay even more enjoyable. Really cool to hear of a place catering to multiple of the facets around traveling. Haha Tas has a way of making you hungry at any time of the day – the cuisine here is insane (amazing insane!!)! I agree with you though, I think what sets Macq 01 apart from the rest is its focus on really giving travelers the chance to get to know Tasmania in as much depth as they can – even on a short stay you feel as though you’ve immersed yourself more so than you would have from any other hotel stay. Hope you have the chance to visit Hobart sometime soon! Is it part of a story or just an attention grabber ? Hi Thies – it’s called a typo.